More specifically, you need to think about how you optimize your pricing. Pricing optimization is an ongoing approach that seeks to help you increase your profits. If you set your prices once and leave it there, you run the risk of decreasing your conversions due to customers finding the same products elsewhere for cheaper. Moreover, different business scenarios want for different prices. For example you may want to change your prices during specific holidays such as Christmas or New Year. And when you do optimize your prices, make sure you’re using real data to help guide your decisions. Don’t make decisions in the dark that will affect the way your business is able to make money. In this post, we’re going to look at some of the core reasons why you should be focusing on optimizing your pricing and some best practices for how to succeed at it. 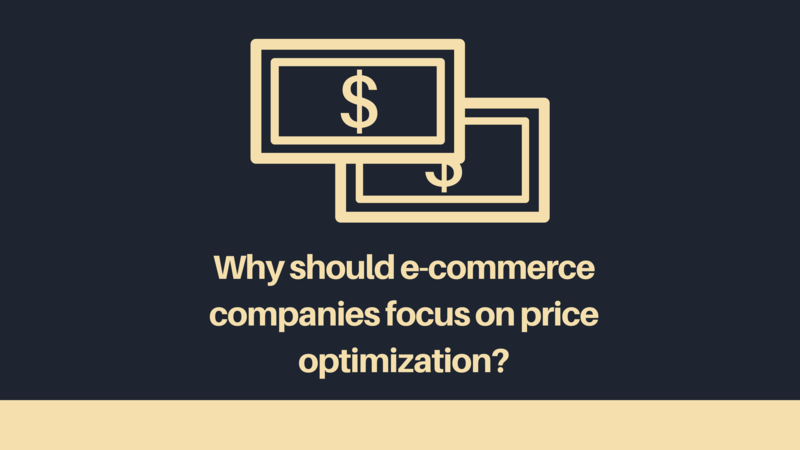 When you think about e-commerce price optimization, what’s the first thing you think about? For many, it’s cutting prices. Their view is that if you want to change your prices the only way is down. This can be done in many ways. Some might take their entire catalog of products and reduce the price of each item by 10%. Others might use deals, offers or specific discounts to entire their customer base. For example, Walgreens has a specific page on their website that shows the various deals customers can try. This is a great approach if you’re building an e-commerce store with multiple product ranges and a customer base looking for deals or discounts. But what about if your e-commerce business model is different? Setting low prices, and offering deals on every single product isn’t always the best approach, nor the smartest way to optimize your prices. Regardless of your pricing strategy, customers are likely to shop around before they purchase from you, and there’s always the chance someone else will be able to offer the same product for less money, despite you already cutting your prices. When it comes to pricing optimization, see if there are ways you can keep your prices the same, or even increase them and instead focus on building a loyal customer base. Nespresso are a great example of this. You can buy 200 capsules of coffee from their website for £71.20, however if you look on Amazon, you can buy 200 Nespresso compatible capsules for a fraction of the price. Does that mean Nespresso has to drastically lower their prices to compete with these competitors? Not at all. In fact, because Nespresso have built such a well-known brand and have therefore gained a loyal customer base, they could effectively increase the prices and still make money. So when it comes to pricing optimization, don’t forget it’s not all about how much you can lower your prices by. And if you do decide to increase your prices, do it slowly, noting down how much your increase affects your profit margins. For example, you might find you can increase the price of a product by 5% and lose some customers, but the increase in profit you make from the remaining customers is enough to justify the increase. Do you have a serious understanding of your profits? How much do you know about your profits? How much do you know about how your pricing affects your profits? When it comes to increasing the profits you make, most people’s first thought is to increase the price of your products. Although increasing product prices is a great way to optimize your entire pricing strategy and increase profits, there are other ways you can achieve this too. What if you could increase your profits by decreasing the amount you spend with your supplier yet still keeping your product prices the same? 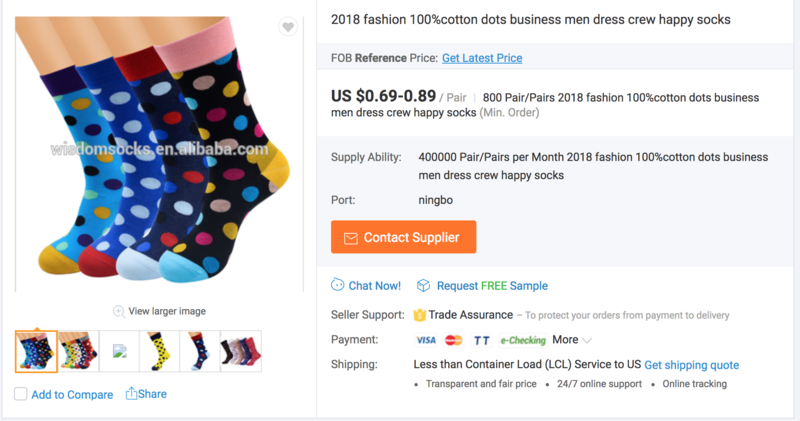 On Alibaba, you can buy socks for 0.69-0.89$ per pair. 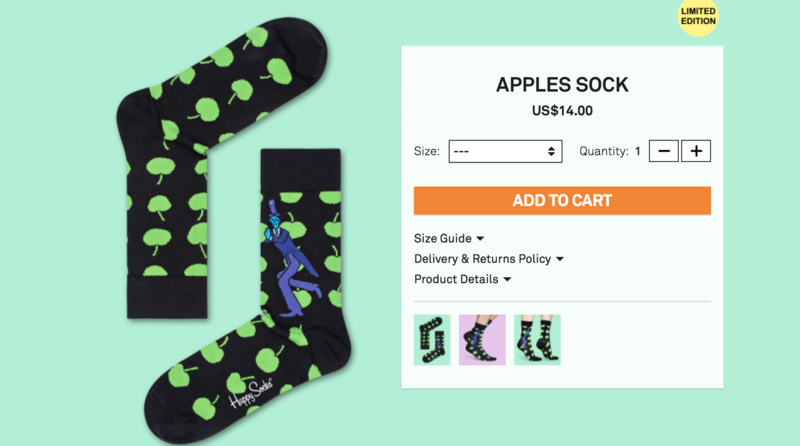 You could then sell those, as HappySocks do for $14.00 a pair. A very decent profit margin. However, imagine if you had a closer relationship with your supplier and could negotiate a lower price through buying more quantity. In the above example, Happy Socks would make $13.31 profit on their socks (before overhead and other business costs). Imagine if they were able to negotiate a lower socks price point of $0.13 per pair. Their new profit would be $13.87. It might not seem like a high profit, but it’s an increase in profit they’ve been able to achieve without messing with the prices of their products. Their customers still pay the same price for the same product, only this way, the overall profits increase. It goes without saying, if you want to successfully optimize your content, you need to look at your competitors and start implementing competitive pricing. Your customers have more options than every when it comes to where they choose to buy. If you want to improve your pricing in the dynamic world of e-commerce you need to monitor what your competitors’ are doing with their pricing and use those insights to guide your own pricing decisions. If you competitively price your products based on your competitors and market trends, you will have greater flexibility. However in order for this approach to be effective, you need to make use of competitive price intelligence. This can easily be achieved through using a competitor price tracking software. We also mentioned how pricing optimization should be an ongoing process. However, in these scenarios, accuracy is more important than speed. An e-commerce company who is fastest to change their prices won't necessarily perform better than the company who takes time to look at data and learn to adapt to new technologies slowly, rather than adopting an aggressive approach. It’s easy to understand why online retailers would take this approach. With the rise in online marketplaces like Amazon, it’s been harder than ever for smaller, independent e-commerce companies to compete and the go-to method has been to become the fastest to change prices. But in most cases, slow and steady wins the race where you are less likely to feel mounting pressure from competitors and can instead make smart, calculated decisions as to what price your products should be and how often you should be changing these. Large marketplaces like Amazon, can afford to change their prices often. Consumers realize this and often track these changes on sites like camelcamelcamel. 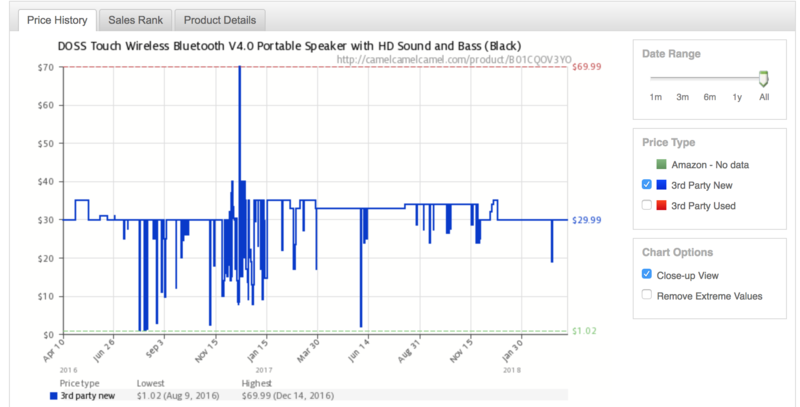 For example, these speakers currently retail on Amazon for $29.99, however, if you were to use the comparison site you’d find that they’ve actually fluctuated a lot in price. As you can see the highest price these speakers have ever been is $69.99 and the lowest $1.02. It helps to give some context as to the actual value of the items. But just because Amazon can afford to change their prices up to maybe hundreds of times per day, the same approach can be detrimental for your e-commerce store. First of all, it doesn’t give you enough time to establish whether a price change will positively or negatively affect your bottom line. Allowing yourself time with each new pricing change will give you the much needed confidence boost that your hypothesis are correct. And as we mentioned before, pricing changes should come about off the back of actual, real data and insight. Don’t rush into lowering your price as increasing it from rock-bottom is significantly harder. It’s becoming easier for any retailers to access competitive intelligence and so make good use of this by implementing calculated price changes. You’re faced with a dilemma. You want to follow market trends and keep up with any changes within the market. But at the same time, you also need to test your pricing and see what works best for you and brings about the best ROI. There are no hard and fast rules that explain how and when to change your prices and by how much. That’s something you need to work out for yourself. Start by finding a good product price calculator that considers your profit margins. One thing that is true is that if you constantly look at competitive intelligence and try to understand the reasons behind price increases or decreases, you’ll be better equipped at making price changing decisions yourself. In this post we discussed some guidelines you should consider when it comes to optimizing your e-commerce store pricing. Having a thorough understanding of why you shouldn’t just consider the lowest price, why you should be thinking about increasing your profits without increasing your prices and why you need to take a slow approach to pricing will help you increase your profit margins and business success. What pricing optimization strategies have you used? Leave a comment below.